When the wind picks up, a fleece hood pullover is just the thing your toddler needs to stay warm, stay stylish and stay in the game--whether it's a game of tag, hide and seek or throwing sticks. From heading off to school to burning off energy at the playground, this ultimate fleece hoodie stands up to the most rambunctious toddlers and pairs perfectly with jeans, khakis or sweatpants. Choose from an array of colors and sizes. 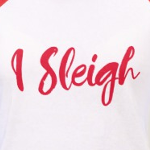 The words I Sleigh in red cursive style lettering. 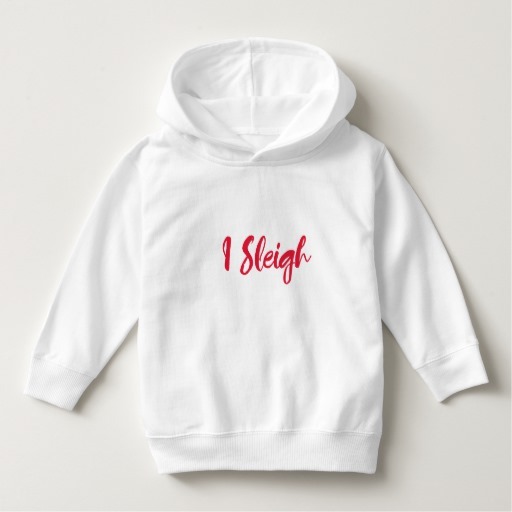 This is the Christmas word play on the phrase I Slay. Celebrate Xmas with attitude.